Hi, I’m Laura Vecchione (pronounced Veck-ee-oh-nee). I am a professional singer, songwriter, and recording artist who has been teaching students of all ages voice, piano and guitar for over twelve years. Throughout my career, I have been so fortunate to have trained with top teachers in Jazz, Classical and Broadway genres at The Manhattan School of Music, Julliard, The Boston Conservatory, The Singer’s Forum, and New York Vocal Coaching. I hold a Master’s degree in Education from NYU, a BA from Barnard College, Columbia University, and Certificate from the Berklee College of Music. I love the collaborative work of helping people find their natural voice and sense of individual expression. My teaching style is playful and light while getting some serious work done. It is my experience that voice lessons often open us up to personal and emotional growth as well as to vocal and musical development. I seek to create an emotionally safe environment where students develop healthy, strong, vocal technique as well as build their confidence. I believe that strong vocal technique allows us freedom of expression in whatever our preferred musical style. In addition to being entertaining, I believe that authentic, healthy singing is healing for both the singer and the listener. I want you feel empowered as a singer, as a vessel of song. As a singer, your instrument is your spirit and your body, and it is essential that we learn and explore in a place of emotional safety. We may become aware of physical or emotional blocks. I believe freedom can come from technique and that the two go hand in hand. What style of learner are you? We explore this. Are you visual, auditory, kinesthetic? No two students learn in exactly the same way. I have taught for several years and have learned to listen deeply to my students to diagnose vocal and breath issues but also to glean how they best learn. Some people respond to spiritual concepts, some people are cerebral, some are a combination of both. Some people come in knowing what they want, others don’t, and we find our way together. Come as you are. My goal for you is to build vocal comfort, strength, dexterity, and expression through feeling comfortable in your own skin. When we can connect with ourselves, we can connect with every audience member. All levels are welcome, from seasoned professionals, to hobbyists. I teach various styles including Broadway, Pop, R+B, Gospel, Jazz, and Classical. Beginning piano, guitar lessons, public speaking, and songwriting coaching are also available. In addition to my work as a voice teacher, I am a singer, songwriter and recording artist who has toured the country in support of my original music. My songs have been placed on hit national television shows and continue to enjoy radio play on independent stations across the country. My music can be found on Pandora, iTunes and CDBaby Videos are on YouTube. 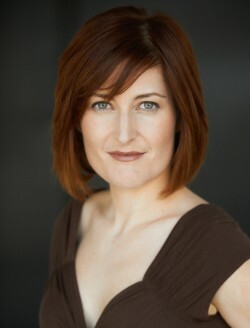 To learn more about my work as recording artist and please visit lauravmusic.com. As a voice over actor, I can also be heard reading Audio Books for Scholastic or in public service announcements in the Boston area. I love language and taught English as a Second Language for many years. I have worked with people around the globe to help them speak English more fluently, present at meetings and work, and feel more confident in their self-expression.